According to historians, during the mid-1700s dinner for the upper and middling classes had shifted to a fashionably late evening meal, leaving a long span of time between the noon and evening meals. 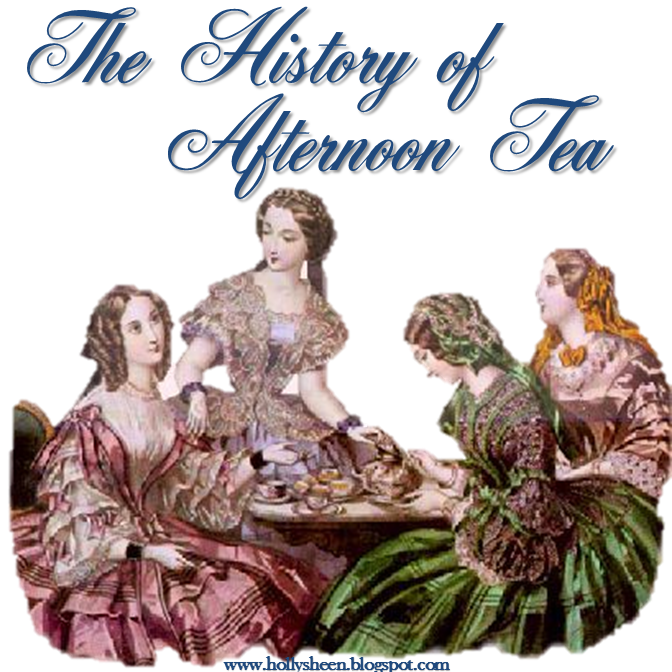 Popular lore says that one of Queen Victoria's ladies-in-waiting, Anna Maria Stanhope (Duchess of Bedford), is credited with inadvertently creating afternoon teatime. Professing to suffer from "a sinking feeling" at about four o'clock in the afternoon, initially the Duchess had her servants sneak her a pot of tea and a few delectables to bolster her. 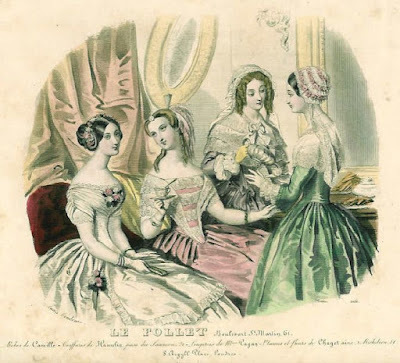 Eventually she quietly invited a few friends to join her for an additional light afternoon meal at about five o'clock in her rooms at Belvoir Castle. The menu usually centered around such foods bread and butter sandwiches, assorted sweets, as well as the tea. 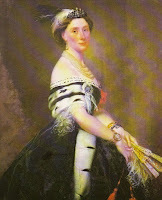 This practice caught on and proved so popular that the Duchess continued it when she returned to London. 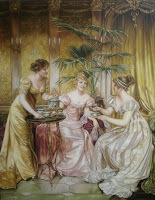 The novel idea of inviting friends to come for tea in the afternoon was quickly picked up by other social hostesses. Etiquette rituals and traditions have since evolved. One custom was that the hostess poured the first cup of tea for her guests. Prior to pouring the tea, each guest was asked if they preferred their tea with or without milk, sugar, honey, or lemon. 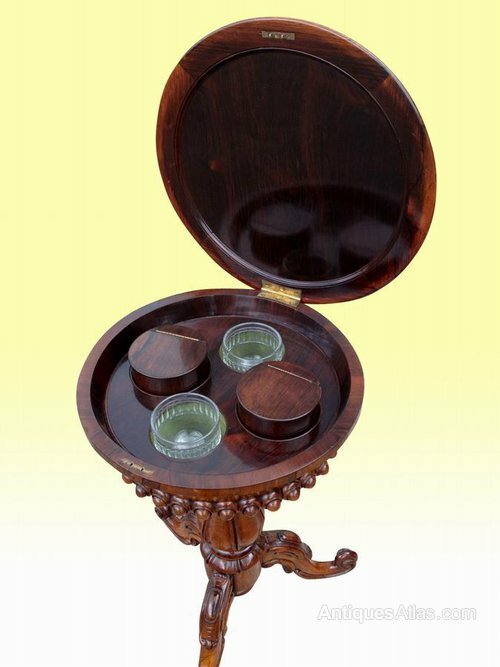 The term 'high tea' is in reference to a heavier meal that was served on a high table, i.e., a regular dining table. An afternoon tea is actually what would be termed a 'low tea' because it was usually served in a sitting room on a low table, like a coffee table, placed near sofas or chairs. Regardless of the type of tea party you prefer, there is nothing like enjoying a relaxing cup of tea with friends.